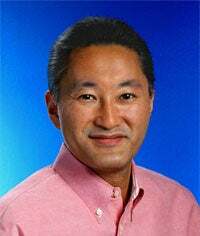 PlayStation business head Kaz Hirai admitted to having a "difficult time" with PlayStation 3's launch, due in part to Sony's initially framing it as a broad media system as opposed to a video game console. "However, by refocusing the positioning of PS3 first and foremost as a gaming platform, we were able to bring an attractive title lineup and achieve a sufficient number of PS3 sales as expected in the fiscal year 2007 holiday season," Hirai said. Now that developers are no longer "confused," Hirai said, the console can begin to realize its potential. "As PlayStation 3 approaches the second anniversary of its release, the release of PS3 software titles with the true generation quality only available on PS3 is accelerating," he said, citing Metal Gear Solid 4 as one such title.